Bachelor of Science from Department of Information Science, Faculty of Science, the University of Tokyo. Master of Science from Department of Information Science, Faculty of Science, the University of Tokyo. Research Associate, Graduate School of Science, the University of Tokyo (Oyanagi laboratory, Department of Information Science). Ph.D of Science from the University of Tokyo (Department of Information Science, Graduate School of Science). Assistant Professor, Graduate School of Engineering, Nagoya University (Sugihara laboratory, Department of Computational Science and Engineering). 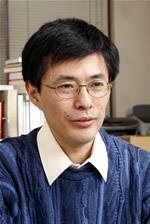 Associate Professor, Graduate School of Engineering, Nagoya University (Sugihara laboratory, Department of Computational Science and Engineering). FLTSS is a set of fortran90 routines and data files for fast spherical harmonics transform.